Cllr Dermot Looney, a Labour Councillor for Tallaght Central, has welcomed the huge support from staff and students in IT Tallaght for a campaign to install a bus shelter at the main stop outside the college. The “Shelter from the Storm” campaign, which Cllr Looney is running with the newly-created IT Tallaght Labour Branch, has already achieved more than 150 signatures from students, staff and local residents who use the stop, as well as support from more than 200 Facebook users. 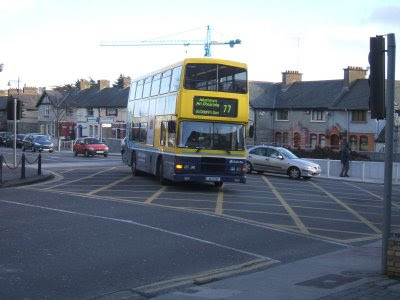 The bus stop on the Old Blessington Road serves the 54a, 65, 65b, 77 and 77a routes and caters for hundreds of passengers each day. The “Shelter from the Storm” campaign asks Dublin Bus to install a shelter at the site to protect passengers from inclement weather. “This campaign is noteworthy for two reasons,” said Cllr Looney. “Firstly, the lack of shelter at this site is ridiculous when you consider the huge numbers of passengers using the stop on a daily basis. The only reason offered against providing a stop – cost – can be easily argued against. As someone who identifies with the left in the Labour Party, last week's Party Conference in NUI Galway was one of the more positive I have attended. It certainly ranked above soul-less "TV Conferences" held in DCU and the RDS, and Leader's speeches in the Mullingar Accord-era where you'd wince at the fops to FG and tax promises. The 2010 Conference was still worrying, but more for the lack of significant debate than for a 'shift to the right,' as some on the left outside of Labour would allege. The coverage of the Conference focussed, as you'd expect, on the Leader's speech and PLP, but the lack of mention of some more significant motions in any of the press outlets was curious. I had intended to speak in favour of abolition but, as it happened, there was no-one present to move the motion from the Duleek Gate Branch - as happened with far too many motions over the weekend. I therefore spoke against the UCC/Clondalkin composite - opposing old friends in the process. I rose to speak after a number of well-received speeches in support of reforming, not abolishing, the Seanad. It seemed as if I was entering an atmosphere unfriendly to my stance. Hardly Daniel in the lions' den stuff, but I was somewhat nervous. My speech is below - I was happy with its reception and felt I swung the debate in part at least. The ensuing procedural farce stymied the chance for the delegates present to decide for themselves. Pat Rabbitte TD spoke after the motions in an attempt to 'wrap up.' Deputising for Brendan Howlin as the relevant spokesperson, Pat was clearly awkward, praising my own speech but not going so far as to call for outright abolition. Instead, he urged a referral back to the party's Executive, a common procedural tool to avoid the 'hard' questions. This was not accepted by the motion's proposers, and so the Chair, Brian O'Shea TD, moved to take a vote on the motion. The standard show-of-hands showed a significant split in the Conference Hall - it looked to me as if the motion to reform was defeated, and my opposition was successful, but the Chair, who was aiming towards a card count, then claimed that we needed a vote on the motion to refer back - which itself passed, meaning no straight vote for the members. A pity, but by no means a defeat for those on the left who advocate, as I did, the abolition of the Seanad on democratic grounds. There was no coverage of this somewhat-important motion in the papers or on TV. Nor was there of the internal party elections - not that you'd expect much, although the Times previously covered these - but again there was a strong showing for the broad left. Gary Honer's magnificent campaign for Party Chairperson secured 40% of the vote - a stunning achievement for a 24 year old grassroots candidate with little or no backing in the PLP or upper echelons. Essentially, the union bloc vote went with the incumbent Brian O'Shea TD, so it would seem that Gary tied or even won the vote of branch, section and constituency delegates. Myself and Gary enjoyed a few smiles afterward, as he rightly celebrated his excellent showing. The poll-topping performance of Rory Geraghty in the male panel of the new Executive Board shows the ability of Gary's successor as LY Chair to build a broad base of support, again amongst grassroots members. Nor did we hear or read mention of my own branch's motion on running a candidate in the Presidential election. As I refer to in my speech below, the debate about running a candidate has now been agreed on - and with no small thanks to an outgoing member of the Executive and friend of this blog, Paul Dillon. So I used the chance to speak to Conference to highlight the kind of candidacy and candidate I believe will best represent Labour and our values. It'll be no surprise, then, that I promoted Michael D Higgins as the candidate in my speech. Another composite motion, proposed by Emmet Stagg TD of the Kildare North Constituency Council and Cllr Patrick Nulty of the Mulhuddart Branch in Dublin West, advocated outright opposition to water charges and Labour to abolish any charges introduced when next in Government. It's no secret that there are those in the party who are are either ambivalent on water tax, or downright supportive. I believe they're in a small minority but, given that we're often told that there are environmentalist and even progressive reasons for water charges, it would have been an opportunity for them to speak out. None did and the motion was passed unanimously. But, again, there was no coverage. Strange then, when John Gormley made another announcement last Monday about introducing water charges, we had two distinctly different press releases from the party. The first, from our relevant spokesperson, Joanna Tuffy TD, argued that "The Labour Party remains opposed to the reintroduction of domestic water charges and believes that the cost of providing an EU standard of water to every home in the state should be funded through a reformed tax system." But the second, issued in the name of Dublin City Cllr Aodhán Ó Riordáin, made no such reference. I'm not sure if either got much coverage, although I just saw Joanna Tuffy, who I believe is very solid on the issue, on The Week in Politics making the Labour case against water charges. But I do know that a letter (see below) from 24 Labour Councillors in all four provinces, including myself, was sent to all national papers but, to my knowledge, was published in none. The signatories were sourced by email in a couple of hours, so I would take the cross-section, rather than the numbers, as an indication of support. Anyone with even a passing knowledge of political spin would worry about the lack of coverage for any of these matters. The media consensus seems to be rallying behind water charges, so I've no doubt that it would hardly be in the interests of Madam or others to publish our stance, but bizarre that there does not seem to have been any paper to publish the letter. Let me know if you've seen it off the beaten track! As Labour Party Councilors, we wish to state our opposition to Minister John Gormley's plan to introduce water charges. Labour reaffirmed our opposition to water charges at our Party Conference in Galway last weekend. We believe in the provision of water as a fundamental human right and that the cost of providing an EU standard of water to every home in the state should be funded through a reformed and progressive tax system. Labour also confirmed at our Conference that we are committed to abolishing these regressive water charges if in Government. In the meantime, we as Councilors will continue to lead the opposition to water charges and privatisation in our communities and in Council Chambers across the country in the months ahead. By now you'll probably have seen Eamon Gilmore's well-received Leader's speech and Michael D Higgins' articulation of a republican ideal of citizenship. And I don't think I was the only one to appreciate the irony of the centrally-produced Gilmore for Taoiseach placards given the history of that particular idea. But the real story of Conference 2010 was at the grassroots - typical, then, that it seems to have been buried. Cllr Dermot Looney, a Labour Party representative on County Dublin Vocational Education Committee (VEC), has raised “serious concerns” with the system of religious education in the primary schools run by the VEC. Cllr Looney, who is also a primary school teacher, has asked that, in light of this week’s Prime Time report on the segregation of children for religious reasons at the two schools in question, the VEC Committee debate the issue at their upcoming April meeting. County Dublin VEC, which is responsible for a variety of educational institutes, centres and schools in South Dublin County, Fingal and part of Dún Laoghaire-Rathdown, currently runs two national schools, Scoil Choilm and Scoil Ghráinne, both of which are in Dublin 15. The schools are part of a Government plan to roll out a state-run community school model, separate to the predominant model of Catholic patronage. “Faith transmission is already the norm in the vast majority of schools. I believe that the new VEC model, which is due to be rolled out in hundreds more schools in the decades ahead, need to move away from this approach,” said Cllr Looney. “The teaching of religion itself should not be a problem. Educate Together schools, which are multi-denominational but do not segregate children, operate an Ethical Education curriculum under which all religions are taught along with issues of democracy, justice and environmental sustainability, while facilitating religious education, including preparation for sacraments, after school. Following the recent revelations, a similar programme should, I believe, be adopted by the VEC for the two schools already in operation, and those to come in the future,” concluded Cllr Looney. 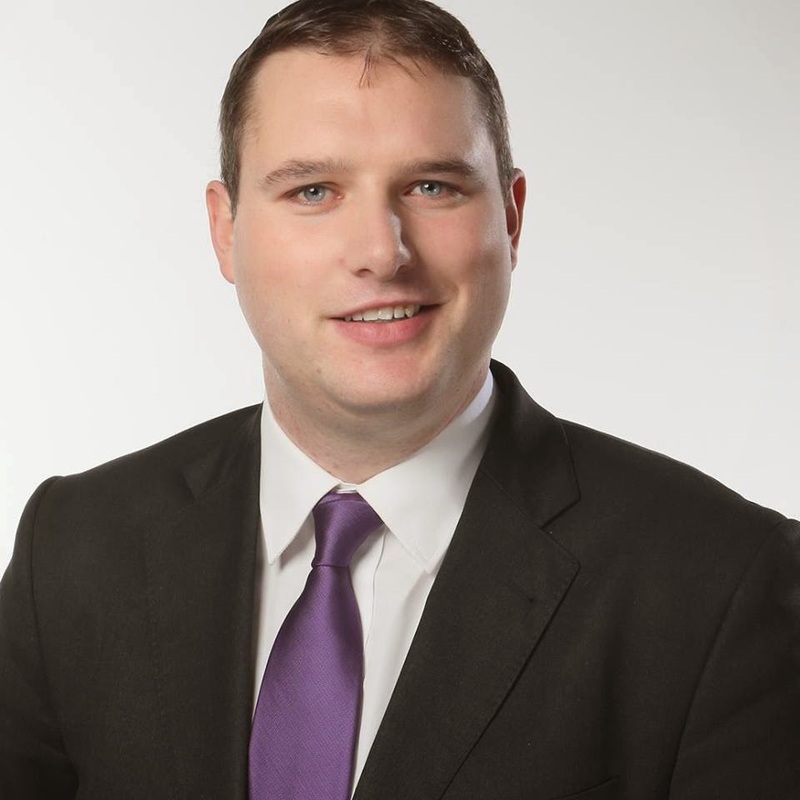 Cllr Dermot Looney, who represents Tallaght Central on South Dublin County Council, has announced that he is to leave the Labour Party and join Fianna Fáil with immediate effect. Looney’s defection to the ‘Soldiers of Destiny’ comes two days after the announcement of a €32 billion bail out of Irish banks. “Over the last few years, I have been increasingly impressed with Brian Cowen’s leadership, in particular his management of the economy,” said Cllr Looney. “Fianna Fáil, as a Republican party, represent the true inheritance of the 1916 Rising and the legacy of Connolly and Tone. Never have such true republican values been more evident than this week in the Dáil. Now, more than ever, Fianna Fáil have truly shown that they are beholden to no vested interest,” Cllr Looney continued. “I am sure both TD’s will join with me in wishing everyone a Happy April 1st,” Cllr Looney concluded.